The Lawn Mower - Made Simple. “ Ahh, the perfect summer day. The sun is shining, the birds are singing, and the lawn mower won’t start”. Few of us would identify “mowing the lawn” as one of the best parts of summer. Most folks can think of better things to do when the days become balmy and long, and adventures beacon to our youthful spirits. Sadly, facts are facts. To have that beautiful lawn, you have to get out there and cut the grass! Finding the perfect machine to get the job done can sometimes be a challenge. We can help. Are you a “Do It Yourself” kind of person? Need help with tuning up your lawn mower, lawn tractor, string trimer, or leaf blower? Check out the Bookstore for instructional DVD’s that can help you get the job done right. With the right help, managing your lawn and keeping it beautiful can be a whole lot easier. Hey, maybe mowing the lawn this summer won’t be so bad after all! All of your H.Andy Power books and much more. Meet H. Andy Power, the driving force behind niftymower! One of the most frustrating things in life is an engine that refuses to start! Lawn mower troubleshooting starts with one of three areas of your engine: spark, compression, or fuel. Expert lawn mower reviews. 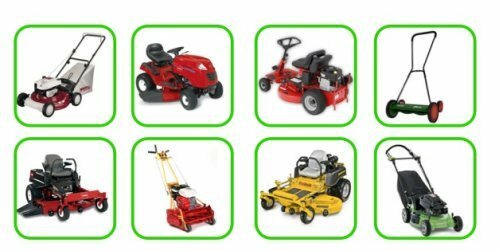 Looking for the best lawn mower for your needs? Compare brands here. Read an expert review on finding the best riding lawnmower! Scotts Reel Mower is a brand everyone recognizes in lawn care and reel push mowers. Read an expert review ZTR Lawn Mowers! At last! An easy to understand explanation of how a reel type lawn mower works. Power String Trimmers are the new standard to give your lawn a professional appearance in the shortest amount of time. Expert reviews on all the major brands. Find the best lawn tractors for your needs and budget! Not sure which leaf blower is best for you? Compare leaf blowers here! Sears is a great source for all of your lawn and garden needs!